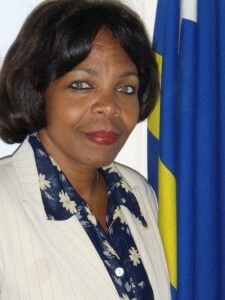 WILLEMSTAD - Employees of the vocational training school Feffik had a meeting with the Minister of Education Marilyn Alcalá-Wallé. The staff is dissatisfied since a new salary structure has been implemented by the government. This was done without consulting with them. The Board of Directors and Management of the Feffik have implemented the recommendations of the Government’s Accountants Bureau (SOAB), and according to the chairman of the union Sitek, which represents the teachers, Darius Plantijn, there was no agreement with the government on this issue. Last year, the government initiated the reorganization of the vocational training school.